Newsletter - 27 April 2018 - API V1 is coming! a new consensus implementation based on the Ouroboros Byzantine fault tolerance (Ouroboros BFT) algorithm, which will be activated by the first of two hard forks that will follow the 1.5 release. Cardano 1.5.0 is currently planned to be the last major release in the Byron era. This is the beginning of the transition from the Cardano Byron era to the decentralized Cardano Shelley era. To make the transition to Ouroboros BFT and decentralization there are two planned hard forks, and for both hard forks exchanges must upgrade Cardano to 1.5. The first hard fork will occur some weeks after the release of Cardano 1.5 but not before April 28, 2019. The second will be advertised closer to the time. This is a hard deadline for exchanges to upgrade. It is essential that exchanges upgrade to the V1 wallet API and Cardano 1.5 within this time window. After the majority of clients have upgraded to Cardano 1.5, we will switch from the original consensus algorithm to Ouroboros BFT via a protocol update in the first of the two hard forks. To find out more about this move to decentralization please see the Cardano Effect podcast Cardano Effect podcast. Note: Exchanges must upgrade before the first hard fork, or the Cardano node and wallets will stop working. The current Cardano version deployed to mainnet is Cardano 1.4.1 (with Cardano SL 2.0.1). Cardano 1.4.1 provides a smooth transition from wallet V0 API to V1 API (see our previous newsletter). If any exchange has not yet upgraded to the V1 API then we strongly encourage them to do so as soon as possible. If there are any issues during the upgrade or migration process, please contact our support team on exchange.support@iohk.io or neville.freeman@iohk.io. All users are encouraged to experiment with Cardano’s features on the Cardano testnet before upgrading. Following the success of December’s PlutusFest in Edinburgh, IOHK is adding two open days to its annual summit in Miami, USA. On April 17-18, IOHK’s founders, scientists, and engineers will set out their goals and products, and reveal the vision for Cardano 2020. Talks and workshops will cover subjects such as privacy and ZK Snarks, staking, treasury, sidechains, Plutus, and development plans for the Daedalus wallet. There will also be a private workshop for IOHK exchange partners. 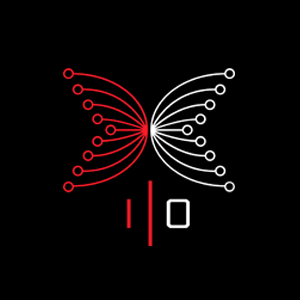 The IOHK support team is conducting an exchange survey to collect data about Cardano use and to improve the way we communicate announcements, technical issues, and bug fixes. If an exchange has an explicit feature request for the wallet API, or the wallet in general, and would like to work with us, please contact us in the usual way, or email your suggestion to iohk-exchanges-feedback@iohk.io with the subject ‘New Feature Request’. Our engineers, product managers, and business analysts will consider your proposal. IOHK also has a support portal where requests can be submitted. Further updates will continue. In the meantime, for the latest information on Cardano and Daedalus, please see the weekly update on cardano.org.